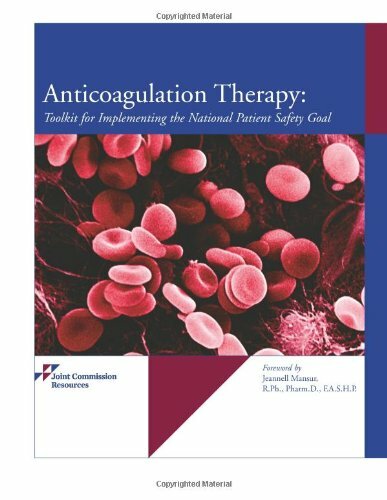 Here are some books and literature on anticoagulation practices and guidelines that you might helpful in making your clinic or practice more successful. As a leader in safety and quality, the Department of Veterans Affairs (VA) is interested in assuring that veterans on long-term anticoagulation receive state-of-the-art care that maximizes efficacy and minimizes complications. Towards that end, this review was commissioned by the VA�s Evidence-based Synthesis Program, in conjunction with the Office of Quality and Performance. 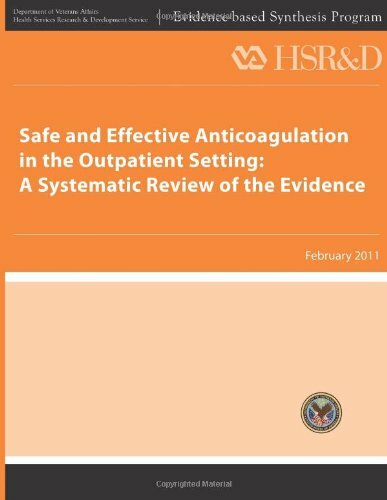 For management of long-term outpatient anticoagulation in adults, are specialized anticoagulation clinics (ACC) more effective and safer than care in non-specialized clinics (e.g., primary care clinics, physician offices)? a. Which components of a specialized anticoagulation clinic are associated with effectiveness/safety? Is Patient Self Testing (PST), either alone or in combination with Patient Self Management (PSM), more effective and safer than standard care delivered in either ACCs or non-specialized clinics? What are the risk factors for serious bleeding in patients on chronic anticoagulant therapy? Anticoagulants can be dangerous drugs. Developed to save lives by preventing and treating thrombosis, these widely used medications are linked to unacceptable levels of morbidity and mortality. According to a study by the Institute for Safe Medication Practices, 8.2% of hospitalized patients on warfarin and 13.6% exposed to heparin experience an adverse drug event. To prevent these events from occurring, clinicians monitor anticoagulation therapy closely. But there are still questions. What is the risk of stroke in a patient who has specified CHADS2 risk factors? What is the recommended perioperative treatment? 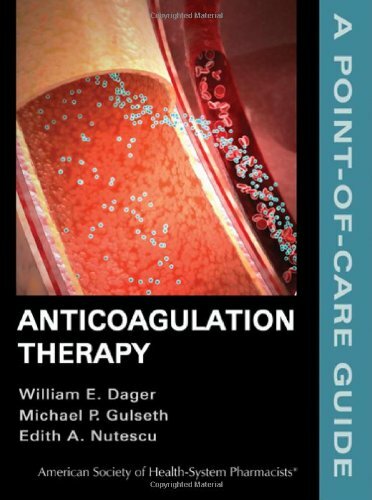 Find life-saving solutions quickly to these challenges and more with Anticoagulation Therapy: A Point-of-Care Guide, edited by William Dager, Michael Gulseth, and Edith Nutescu. This concise reference is designed with the busy clinician and resident in mind. It provides a quick way to access necessary clinical and therapeutic information that has the potential to improve the lives when many risk factors are at play and time is of the essence. This essential guide was written for everyone who must take the anticoagulation drugs Coumadin or its generic form warfarin, and who finds the dietary and medication guidelines that need to be followed both confusing and complicated. It explains why these drugs require modifications to the diet and careful monitoring of both prescription and over-the-counter medications, emphasizing that consistency is the key to success. It will help readers to live a normal, healthy life despite the restriction involved in successfully taking this medication; tables containing information about foods and drugs will be referred to constantly. This book provides the information that every person who requires anticoagulation therapy needs to manage their medication and get on with their lives. 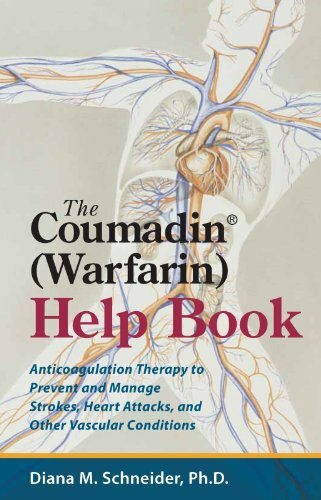 Coumadin and warfarin are the most commonly prescribed anticoagulants � or "blood thinner" used to prevent strokes and heart attacks resulting from blood clots in people with a variety of medical conditions. This includes the more than 10% of people over age 65 who have atrial fibrillation, anyone who a prosthetic heart valve or other cardiac conditions that can lead to the formation of blood clots, following any episode of deep vein thromboembolism, and people who have already suffered a stroke or heart attack. tables that provide detailed information on the Vitamin K content of specific foods and supplements, interactions with prescription and nonprescription drugs, and more. 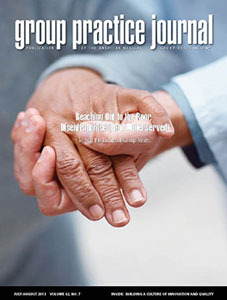 Provides the resources and information to enhance the care of patients receiving oral anticoagulation therapy. 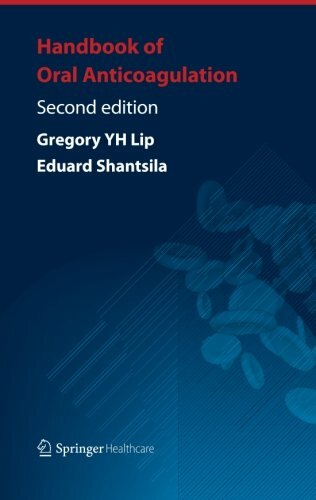 Written by a diverse and multidisciplinary group of health care professionals with hands-on experience, this book focuses on the anticoagulation management service�a model of anticoagulation care that is systematic, organized, and coordinated. All aspects of development and implementation of this care model are addressed. 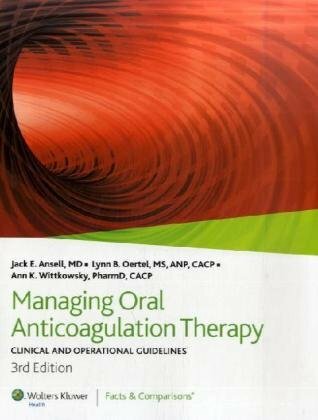 The book is divided into two sections: Part 1, Establishing an Anticoagulation Management Service, and Part 2, The Use of Oral Anticoagulants.